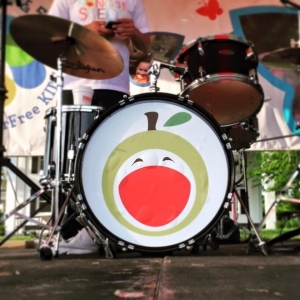 songs for seeds is a rockin' music program that encourages children newborn to 6-years old to sing, dance and play along with a live, three-piece band. Kids rock out with children's instruments, as well as real drums, guitars, keyboards and instruments from around the world. Using original tunes written by well known musician, Mr. Ray, songs for seeds provides a fun, stimulating, interactive experience. We "travel" to a new country every week, create well-known nursery rhymes through visual art, perform magic tricks to highlight numbers and counting, and spin the animal wheel to reinforce animal names and sounds. By mixing our original kids rock 'n' roll with adult contemporary music, the band is sure to please little ones and their adults.